Most of us are familiar with roll up doors, since roll up garage doors have been used in most residential builds for decades. Many warehouses and commercial buildings also use aluminum roll up doors because they offer wider access into the space and are a better space-saver than doors that roll to either side. In addition, roll up doors provide better security because they can quickly be rolled down in case of a fire, to better contain the fire inside of the building. But roll up doors are slowly making their way away from just covering garages and warehouses and into other commercial settings and even residential homes themselves. Many people may have noticed them cropping up at restaurants and bars. Roll up doors do the same things for restaurants and bars that open floor plans do for homes. Instead of having numerous small, cramped rooms, you can host larger parties in one, large space. 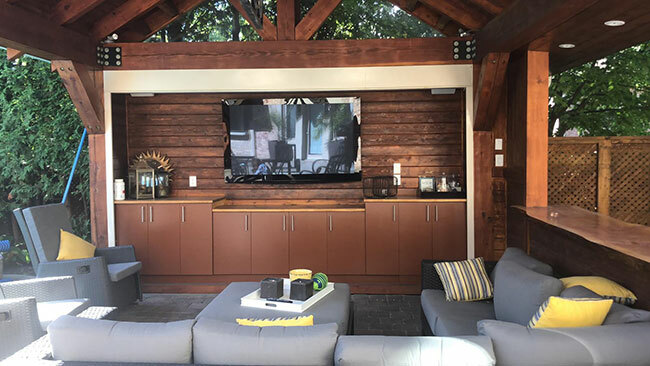 Roll up doors can be opened to create one large indoor/ outdoor space instead of an indoor space and a patio. In the winter or cooler evenings, they can be closed to retain heat. They also allow smaller establishments like smoothie bars or stores to gain additional space by opening up an entire wall of their store or establishment during busy times and then close it down at night to protect the premises. Owners of small kiosks can also keep their wares protected in the evening then just roll things up for business in the morning. Offices can also benefit from roll up doors because they can be used to partition a large space into smaller areas or open up smaller areas into one large space. Perhaps the best feature is that unlike partitions that have to be stored somewhere, roll up doors literally roll upwards, where they essentially store themselves overhead. Out of sight and out of mind. Not only do they quickly transform a space in seconds, but you don’t have to figure out where to put them when they are not in use. Residents of lofts and converted warehouses can also benefit from the unique functionality they offer. Commercial applications are also not the only uses for these versatile doors. They are slowly making their way into new home builds and are particularly attractive to the owners of tiny homes, homes made of shipping containers, homes with a spectacular view or those in warm climates. In fact, former California Governor Jerry Brown recently sold a $2.5 million home in Oakland Hills that featured beautiful glass roll up doors that offered a spectacular view of the San Francisco Bay and Golden Gate Bridge. Glass doors aren’t for everyone, however, because some people live close to other neighbors they don’t want peering into their home, but they still want the versatility of being able to simply “remove” a large section or entire wall of their home in seconds. Not only do aluminum roll up doors provide all the same versatility, but they also offer greater privacy and security. 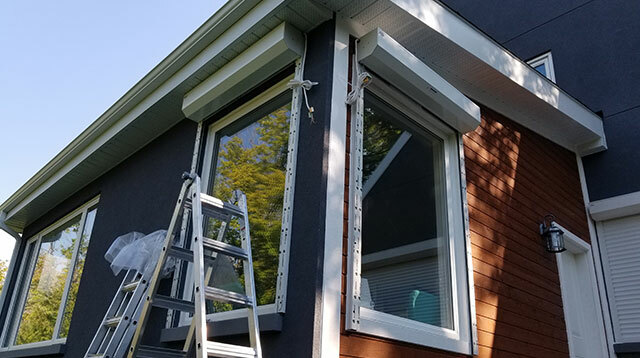 Roll ups can also be used as window coverings to protect your home in a less-then-desirable neighborhood or to create darkness during the day for people who work at night. Your home is also not the only residential area that can be enhanced with these versatile doors. Roll up shed doors allow you to store large equipment like a riding lawn mower in your shed instead of in your garage. Roll up shed doors can also be used in the interior to create partitions. You can even use one half of your shed for storage and the other as an office. Sheds are no longer just for housing your garden implements and lawn tools. These days, there are a wide range of uses and applications for sheds and roll up doors can help enhance them all.